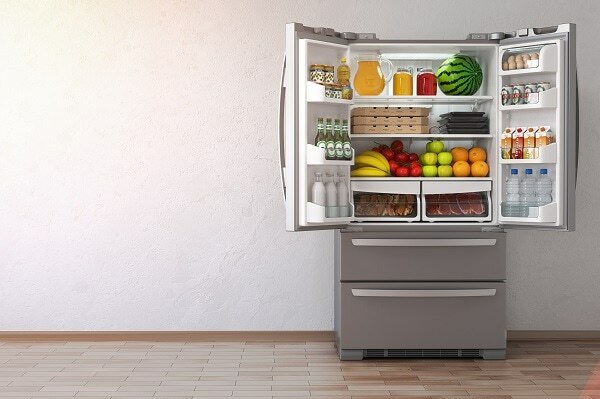 If your refrigerator is noisy, there’s a good chance that something could be wrong with it. Once you notice that your refrigerator is louder than usual, you have to figure out why. There are a number of different reasons that refrigerators can be noisy. Let’s take a look at a few of the most common problems that can occur. The water inlet valve is where water enters the refrigerator. This valve sends water to your refrigerator’s water dispenser and ice maker. In most cases, this means that you’ll have to end up replacing the valve. Some people do attempt to repair the valve without buying a new one, but this typically doesn’t end well. It’s best to replace the valve completely or ask a professional for help! This is one of the easier fixes as far as refrigerator noises are concerned. The fan blade can sometimes be out of place. It can also be restricted by another part of the refrigerator. In order to diagnose this problem, you should attempt to rotate this fan blade. See what it could be hitting or if there’s something stuck on it. If you can see something, you should resolve the possible obstruction. Sometimes simply removing the blade and reinstalling it correctly can help too. Note that both the condenser and the evaporator have fan blades. Either one of these devices could be contributing to the refrigerator running loud. In addition to the fan blade, your fan motor might be struggling. When the motor on the evaporator breaks down, the noise level increases significantly. One of the telltale signs that this is the problem is that the noise gets louder when you open the refrigerator door. You can attempt to repair the motor. It’s best to completely replace the faulty motor though. This should quiet the refrigerator noise as soon as it’s replaced! Compressors in refrigerators are designed to last a while. They usually hold up for years, but there’s always a chance for them to become worn out quickly. If your refrigerator has a loud compressor, this will need to be fixed by a professional. It’s not worth it to attempt this one on your own. As your compressor gets older and older, it begins making more noise. This is also a sign that it’s going to break down soon. Be sure to monitor the compressor closely so that you don’t have to go without a functional one for too long! It’s important to figure out what’s going on with a noisy refrigerator. This can help you to resolve the issue more quickly. Plus, you can also determine whether you can fix it on your own or if you’ll need to hire someone. If you aren’t exactly sure why your refrigerator is noisy, it’s a good idea to give the professionals a call! They can help you to solve the problem behind your refrigerator running loud and fix the problem too.